Awwww, this foxy is so cute! Can you help her to get a lovely outfit in the awesome dress up game? A fun platform adventure puzzle game. Try and find a way to the exit point by casting simple-minded clones to do tasks for you. Sounds tricky...because it is! 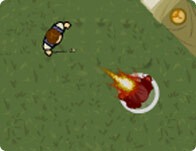 Defender is an Isometric defense game that merges multi-layer strategy with RPG elements.